MICAMYX » Personal Blog of a Dagupena Dreamer » Archive » THE CHOP – The Best Revenge from Latrice Royale and Manila Luzon! 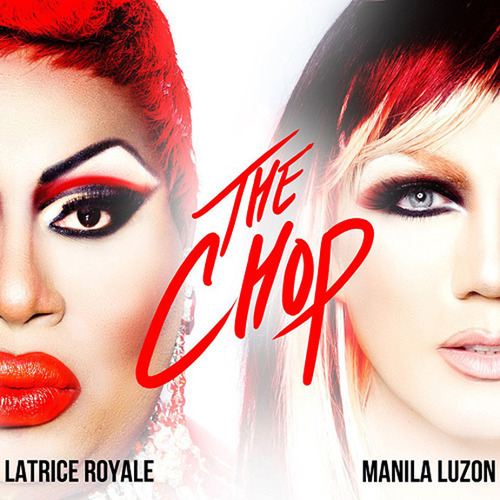 THE CHOP – The Best Revenge from Latrice Royale and Manila Luzon! Even if you get The Chop! Last Tuesday morning, I woke up early to track the live tweets of fellow Rupaul’s All Stars Drag Race viewers. There were some information leaked about the team eliminated on the third episode yet I was in denial. By lunch time here in the Philippines, my Twitter timeline is flooded by complaints about the sudden elimination of Team Latrila (Latrice Royale and Manila Luzon). Seriously, Rupaul?! To be honest, I am a fan of the RuJubee team (Raven and Jujubee) too and I was hoping to see Latrila and RuJubee at the Final Four of the show. I cannot believe that these teams are in the bottom two. I mean, at least not Latrila! Manila Luzon did a fantastic job in the challenges and I can say that among the contestants in the All Stars season, she is the most loved by the fans. I am not saying this because she is Filipina, ok? I am saying this because it is the truth. After the disastrous decision was aired, Manila Luzon kept on sharing some pictures that served as teasers. She then sent a tweet with the hashtag #TheChop tagging Latrice Royale with a YouTube link on it. What’s this? Lemme click. Oh guuuurrrrlllll…. they recorded a song together and have a very cute music video! THE CHOP! Manila Luzon may not be the best dancer like the other drag queens and she doesn’t even have a diva-like voice, but she knows how to market herself. She knows her asset and she is ready to pose, turn, flaunt! I am captivated with the fact that Karl Westerberg (Manila’s male alter ego – wut) used to have a 9 to 5 job as a graphic designer and just does drag on parties or in some gigs. You can see how determined he is to make it in the biz and the fans are important to him. I am also not surprised that Ginger Spice is his favorite Spice Girl… I think the Spice Girls is the one to blame (or thank) on why there are a lot of drag queens now who are not afraid to achieve their goals in life. Through the past episodes of Rupaul’s All Stars Drag Race, I learned to appreciate Ms. Latrice Royale. I don’t think a single contestant dislike her. She is nice, talented and very funny. The LATRILA (Latrice-Manila combined) tandem is an unusual pairing, but it is the most interesting one. Latrice Royale is also an inspiration to plus size men and women. All you have to do is feel comfortable with yourself. Don’t mind the haters. Let ’em eat it and GAG! Releasing The Chop on the time of their elimination at RuPaul’s Drag Race is the best revenge. 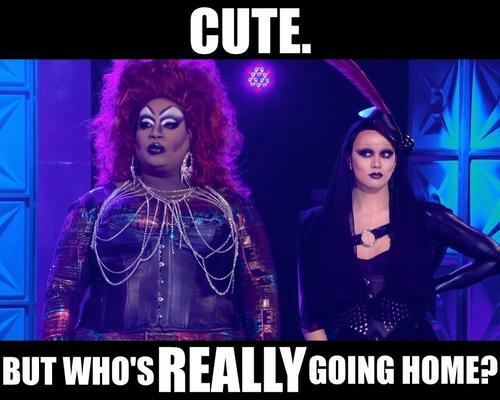 Seriously, Latrice Royale and Manila Luzon doesn’t need to win the title in order to prove that they’re drag superstars. I am happy that as of writing, The Chop already reached the third spot at the Amazon Dance Chart and #24 at the iTunes Dance Chart. Bravo! Like what I mentioned on the previous post, I am not sure if I am bored or depressed. I am glad that I revived my love for Manila Luzon. The Chop is the type of song that you can dance with when you’re stressed or you’re having a bad day. It is also an encouraging song to just go and move on with life… even if you got The Chop! Now that Manila Luzon is out of Rupaul’s All Stars Drag Race, I am supporting Raven and my favorite Gaysian named Jujubee. Aww! There are four Filipinos who participated in Rupaul’s All Stars Drag Race – > Ongina (Season 1), Jiggly Caliente, Phi-Phi O’Hara (Season 4) and of course, Manila Luzon (Season 3 and All Stars). ^ Buy ‘The Chop’ on Amazon! Are you watching Rupaul’s All Stars Drag Race? Which team are you rooting for? Mind to share your favorite drag queens and why?